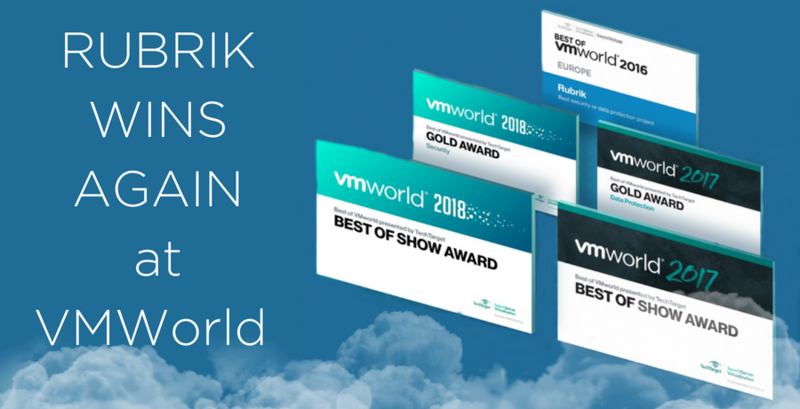 Winners of the Best of VMworld 2018 Awards have been announced with Rubrik taking a Gold Award for the third year running and Best of Show for the second year running. Radar, the latest platform added to its Polaris SaaS application, has received two Best of VMworld 2018 Awards: the Gold Award for Security and Best of Show. Overall the awards look at seven categories of virtualisation including Digital Workspace, Cloud-Native App Development and DevOps, Agile Operations and Automation, Virtualisation and Cloud Infrastructure, Networking, Data Protection, Security and Best of Show. An independent team of judges with experts and editors from SearchServerVirtualization.com evaluated 75 products assessed on innovation, value, performance, reliability, and ease of use. Radar is powered by the Polaris SaaS platform allowing users to detect anomalies in their data to identify suspicious activity, discover any impacted files and applications to reduce data loss, minimising downtime with simplified recovery for faster data restores. Read more about Detection-as-a-Service with Radar in Simon’s latest blog here. This entry was posted in Awards, Backup, Data Protection, Rubrik and tagged Cloud, Data Backup, Polaris, Radar, Rubrik, VMWorld.